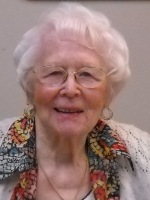 ALBANY – Elisabeth Kappeller, 91, died at home on November 26, 2013 after a brief illness. Elisabeth was born in Hungary. She, her late husband Henry, and their three children emigrated to America in the early 1950s. They settled in Hudson, NY where she lived until moving to the Albany area 15 years ago. She and her husband loved gardening and had two large vegetable gardens. Their family and friends were the lucky recipients of their harvest. Elisabeth also loved flowers and had dozens of rose plants. She enjoyed dancing the polka and never missed the Lawrence Welk Show. Elisabeth is survived by her son, Henry Kappeller (Kathie) of Red Hook, and two daughters, Elisabeth Charette of Clifton Park and Kate Kappeller of Albany. She was blessed to have three grandchildren: Chris Kappeller (Nicole), Jennifer Kappeller Udoff (David), and Scott Kappeller (Patricia). She is also survived by six great-grandchildren: Ryan, Riley, and Bianca Kappeller, Julia Udoff, and Sarah and Vanessa Kappeller. A memorial service will be held at Hans Funeral Home, 1088 Western Ave., Albany on Monday, December 2nd at Noon. Relatives and friends are invited, and may call at the funeral home Monday morning beginning at 10am. In lieu of flowers, those who wish to honor Elisabeth may send a donation to The Community Hospice Foundation, 295 Valley View Blvd., Rensselaer, NY 12144; or to Newgate Adult Day Service, 32 Essex St. Albany, NY 12206. To leave a message of condolence for the family, send a sympathy card, or obtain directions to the funeral home, please visit www.HansFuneralHome.com.